Lady Cats dominate the court with an impressive win over the Lady Raiders! At the start both teams warmed up like pros and were ready for a fierce game. As both teams face off, the ball is tossed into the air with the Lady Raiders getting the ball first. As each team went back and forth down the court the Lady Raiders took the first two points of the game due to a foul against Emma Deyton #20. Raider’s #3 takes her two shots flawlessly. 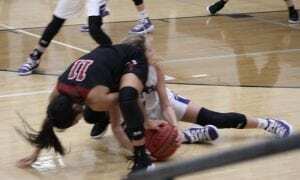 Throughout this game there many fouls allowing each team to rack up the points. The Lady Cats didn’t let this phase them, they begin to pull away by the halftime leading the Lady Raiders 29-11. Right as we begin the third period the Lady Raiders they make an impressive three pointer helping them gain a few more points. As we look at the faces of the Lady Cats and them passing the ball back into play you can see it, their faces read not today! 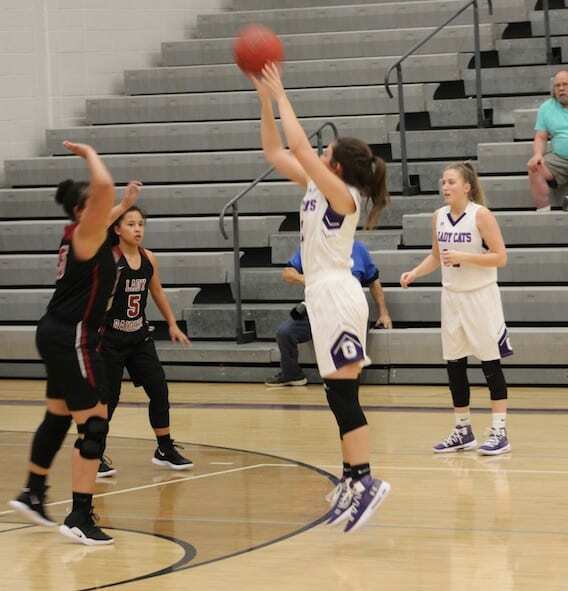 Bailey Teague #32 brought the heat answering back with a three pointer giving them a 20 point lead over the Lady Raiders. The Lady Raiders have a strong 4thperiod but the Lady Cats didn’t back down they kept clawing their way to the top leaving their mark everywhere they went. That lead us to the last shot of the game taken by Emma Callihan #24 shooting a two pointer to bring home the win. The Lady Cats are going to need more basketball shoes after burning up the court tonight claiming the victory over the Lady Raiders 52-34. 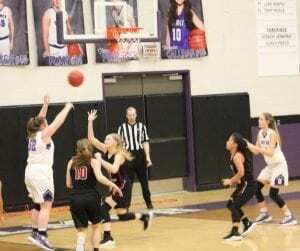 Marylee Callihan #10 – 15 points, Elly Callihan #1 – 8 points, Emma Callihan #24 – 8 points, Emma Deyton#20 – 6 points, Bailey Teague #32 – 6 points, Mallory Kiser #25 – 5points, Hope Colwell #4 – 2 points, Jalynn Ledford #52 – 2 points. After this hard fought win, the Lady Cats will be playing again Tuesday, January 15thagainst Heritage @ home, game starts at 6:00. « Previous Article WOW… An Unexpected shot at the buzzer brings home the win.